An adorable puppy or a tiny, mewing kitten sounds like the perfect holiday gift. Parents often pick out a new pet for their children and then keep it at the breeders or have friends watch it until Christmas Eve, when they smuggle it into the house and put it under the Christmas tree for their children to find the next morning. Unfortunately, the reality of holiday pet adoptions almost never lives up to the perfect scene parents imagine. Instead, Mom or Dad spend the night trying to comfort a sad, confused animal and mopping up accidents on the carpet. The first several weeks of pet ownership will also challenge the entire family, particularly if the adoption is tied to a holiday such as Christmas or Easter. The shocking truth is that the holidays are the WORST time to adopt a pet and most animal advocacy groups warn against it. Holiday pet adoptions are often inspired by selfish reasons because you’re bringing a new member into the household at precisely the time when you have the least amount of time to spend with your new puppy or kitten. Since they’ve been recently weaned and are in a new, confusing environment, any new pet will naturally need lots of extra time and attention that you don’t have. While you may love the idea of a pet with a Christmas bow around his neck, remember that adopting a pet is akin to adopting a baby. The hectic, over-scheduled holidays are filled with other commitments and you won’t be able to give your new family member the attention they deserve. Pets are most likely to thrive when they are comfortable in their environment and they have a routine that they can count on. When they Holiday are introduced into a new home, having a routine will help them learn quickly what is expected of them and what they can and can’t do. The chaos and constant distractions of the holidays – guests in and out of the house, new people, new things to investigate and lots of frightening sights and sounds – sets pets up for failure. All the commotion is a distraction from what they are expected to learn. 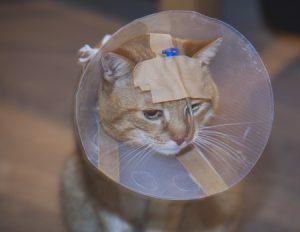 It can also distract the people who are supposed to be taking a pet for a walk or cleaning out a litter box, leading to additional distress for pets who are already confused and frightened. It’s almost impossible for new family pets to learn the rules of the house at the holidays, when many of those rules are temporarily thrown out the window. Children are always excited when they open their Christmas or Hanukkah gifts. They’ll spend lots of time playing with their new gifts for the first few weeks, but after a few weeks or months, their interest fades. Pets can get lost in the shuffle, being overlooked and relegated to a chore that has to be done when they are just one more gift of many. Children may get the impression that their puppy or kitten is a gift that has no more permanency than a doll or board game that is shoved in a drawer and forgotten. A pet adoption should be an event in and of itself, not just one gift among many. There are dangers for pets in any household, but at Christmas, Hanukkah, Easter and other holidays, those dangers increase exponentially. Everything from pine needles to Hanukkah gelt can make an inquisitive pet sick if ingested. You don’t want to spend your holiday at the veterinarian’s office getting your puppy’s stomach pumped! Holly, mistletoe, Amaryllis and rich, seasonal foods are also dangerous for pets. Candles, potpourri, water for Christmas trees and broken ornaments can also injure, poison or burn curious animals. Family members are already busy during the holidays and may not be able to constantly monitor a new pet. It takes just a few minutes for a pet to get into something that will make them sick enough to need a veterinarian’s care. 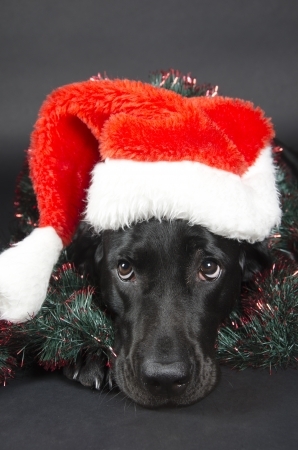 Pets may also run away because they are frightened or confused during the holidays. Friends and family coming in and out of the house means doors opening and closing frequently. A new pet can dash out the door before anyone can stop them or get accidentally closed into a room for hours at at a time. If you’re planning on giving your children a small pet such as a hamster, chick or bunny for the holidays, think again. The American Humane Society says that the majority of these small animals are injured or inadvertently killed by young children in the weeks following holidays. Through no fault of their own, children may simply be too rough when playing with small animals, leading to broken bones and other injuries. Smaller pets are extremely vulnerable and aren’t the best choice for a first pet. Hamsters, chicks and bunnies require consistent temperatures and specific foods and may die due to unintentional neglect. If you do decide to go this route, purchase the pet after the holidays are over and educate your children on how to handle small creatures safely. If you are determined to get a pet for your family, it’s best to forego holiday pet adoptions. Instead, wait for a time when life becomes more routine and it will be easier to give a pet the appropriate amount of attention. If you want to give a present to your children, consider putting together some pet related items such as pet bed, a collar and a leash along with a “gift certificate” from the local shelter. When things have settled down and there’s more of a routine, the whole family can visit the shelter together and choose a pet to take home. With proper time and attention, your new pet will succeed with their training and become a happy member of the family. Thank you for writing about such an important topic. People need to be responsible at this time of year and realize that pets are a big responsibility and are not disposable. I’m so glad you stopped by! I love following Lola’s exploits! Adopting a pet is a big responsibility, but I’ve known families who have had a lot of success with holiday adoptions. I think the important part isn’t the time of year, but rather the planning and careful consideration of lifestyle. For some people, adopting over the holidays is perfect because they have time off from work and a longer period of adjustment for the pet and humans. Of course, all small children need to be supervised around pets, and older children need some guidance as well! While it’s true that for some people the holidays may be a time when they’re home from work, it can still be confusing to a new pet. Christmas lights and decorations are an added temptation, people visiting more often and other issues can make it difficult. For some people, the holidays may be just as good or better than other times, but I think this would be the exception rather than the rule. A hectic household can really stress an animal in a new environment. Thank you, Ruth! It upsets me as well and I want to make sure that people think twice or even three times before going ahead with giving someone a pet during the (inevitably) chaotic holidays. Gifting a pet for the holidays is the WORST idea even if with all the best intentions. This is so vital people understand the huge risks that go with gifting animals for the holidays or really anytime. The holidays are stressful enough for people and worse for animals. Thank you SO much for spreading awareness! This is such an important topic that needs to be said. My neighbors did this last year with a new puppy. They have never had a dog, were woefully unprepared, and made the tragic mistake of buying from a pet store. This ended in disaster when the puppy died from Parvo two days after Christmas. What a great post. Catchy title too. This is a perspective I definitely would not have thought about. Thanks for sharing this great insight to the downside of holiday pet adoptions. I agree a gift certificate would be a 100% better option. Pet adoptions shouldn’t be treated like a new toy you get tired of after a week. They are a lifetime commitment. Thank you, Kamira! Glad you like the Gift Certificate idea; it lets the recipient go through the joy of picking out a pet that suits them best. Hear! Hear! It bears repeating over and over…”pets aren’t for Christmas, they’re for life!”. I tell people who really have their heart set on a certain breed or mix to wait until January – March or even later, when Christmas puppies and kitties end up at the shelter. It’s sad but true. I never thought about it, but you’re so right! There is a definite uptick in how many pets are dropped off in the month’s following the holidays. It’s the easiest time of year to find a purebred pet at your local shelter, rescue or humane society. I agree that buying a pet to put under the Christmas tree is a bad idea. However, if there is careful planning and one of the adults will be the primary caretaker, a pet given a few weeks before or after Christmas may work. I bought a puppy on December 12th and she got well socialized over the holidays, although I had to watch her like a hawk to make sure she didn’t get into things. Thanks, Sandy! Your solution sounds like it worked out well. I’m so glad! I agree that it takes careful planning if you are going to gift a pet near the holidays. It gives me so much anxiety to think about giving pets as gifts! It’s a scary time for them being in a new atmosphere and a bunch of crazy holiday things to get into! Breaks my heart. Thank you for shedding light. Pets are not GIFTS! They are no presents that can be used for a time and then disposed of. I never thought about this until reading some blog posts a few years ago, but it really makes sense. I like the idea of buying pet items with the promise of taking family members to the local shelter or reputable breeder to pick out the purrfect kitten or puppy (or adult pet). Yes, adult pets are often a great choice. They’ve probably mellowed out a bit, they are already housebroken and they’re always so happy to have a new home! I agree. Any time other than holidays is better to adopt. Though it is good to have some time off for the first few days. It is nice if you can get a few days off when there isn’t a lot of other stuff going on, giving a new pet time to adjust. I can’t imagine adopting a pet around the holidays. I decided to bring my (at the time) 2 dogs home with me for Christmas one year and i felt bad because I thought bringing them would mean getting to spend more time with them. The reality turned out to be that they spent more time playing in family members’ yards during holiday parties and get togethers because i didn’t want to leave them in an unfamiliar home crated all day but not everyone wanted to add two dogs to the hordes of people they had over. The chaos of that experience with dogs i had owned for several years was enough to prove that it was better to board them on trips that were not planned with the dogs in mind. I’m not sure if my train of thought makes sense if you aren’t in my head, but essentially the holidays are hectic for everyone, including our pets so I dont know why anyone thinks its a good idea to introduce new pets into the mix at that time. Thank you for writing about this! You’re welcome! It sounds like you and your pets learned a lot from that Christmas. It can be so difficult when you’re trying to divide your time between the relatives you’re visiting, your own family and your pets, especially in an unfamiliar (to your pets) environment. I hate the fact that people get pets during holidays as gifts or for photo ops! You are so right-pets are like babies and need to be taken care of just as much as human kids. Thank you for a detailed post to raise awareness. Schatzi came to live with us on Thanksgiving Day and we were forever thankful for the 13 years she was with us. Reputable breeders avoid having a litter go home during the Christmas holiday since it is so chaotic. Pets need time to adjust to a new environment and new people just as people need to realize they have just brought home a huge commitment in that little ball of love. Amelia, it’s good to know that most reputable breeders understand and avoid sending home puppies during the holidays. If everyone continues to try and avoid holiday gifting of pets, I believe we’ll end up with fewer pets being “returned” to shelters, and that’s a holiday trend we can all get behind. It makes me so happy to see established writers like yourself getting this all too important message out, Lori. It is so important and the more who get the word out the better. Thank you for helping pets. Thank you, Carol! There are so many holiday adoptions that just don’t work out. It’s heartbreaking for everyone. We really can’t over-communicate this message, especially at the holidays. People think a puppy for Christmas is the best gift, when it can actually be the worst gift unless a lot of thought and preparation are put into it to ensure the person is ready for the lifelong commitment (of that pet) to care for them.